"The best surf-rock, noir-jazz, tiki-bar exotica group you've never heard." COOL! That's how you describe a band that, according to the ORLANDO FREE STAR, "moves easily between the musical worlds of South American b-movies, New York jazz haunts, surf parties, New Orleans hoodoo havens, Mexican tourist traps, Jersey punk clubs, Miami prono flicks and dot com grip & grins". Whether they're playing rock'n'roll, jazz or lounge schmaltz, these cats are operating on "all-systems-GO". TOKYO TODAY called their concerts "a meeting of the Atomic Age, the Beat Age and the Digital Age". King Dexter, Johnny Pronto and Prince Dizzy, the three principle members of The King Dexter All-Stars, started playing together in 1968. They formed their first group, The OZQ Band, while attending high school in Washington, PA. They quickly found work recording "knock off" albums for the Rud-Dee Records label. Rud-Dee would release inexpensive albums for distribution in discount stores and supermarkets. These records were made purely for exploitation of popular genres at the time. The OZQ Band, under a series of aliases, recorded over 20 rock, jazz, blues, reggae and psychedelic albums. 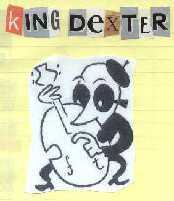 In 1981, the group formally changed their name to The King Dexter All-Stars. At this time they also started their tenure playing resorts throughout Florida, Mexico and the Caribbean. By the mid 80's, their popularity in Central and South America had soared due to the band's appearances in campy, low-budget movies. They also recorded soundtrack music for many of these horror, action and adult features. By 1995, The King Dexter All-Stars had settled in up-state New York. Although they haven't toured in over 5 years, they still record and take occasional acting jobs in repertory theater. "King has us recording everyday," comments Prince Dizzy, "I don't know what he's doing with all that sound!" Johnny Pronto adds, "I think King wants to record more albums then any else has or ever will...even if they don't get released". "The King Dexter All-Stars is basically a 60's band," says King Dexter, "we never lost our early spirit and still try to put a touch of that bravado in everything we play". That statement holds true over the entire collection of 15 songs just released by Level Green Recording Company. 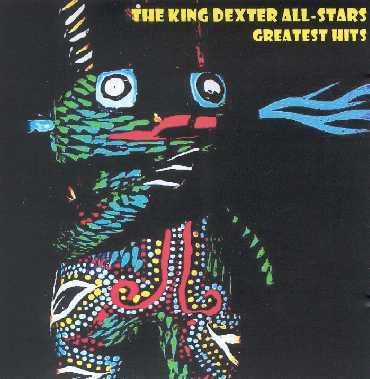 The CD, titled "Greatest Hits", showcases The King Dexter All-Stars' talent injecting psychedelic fun into rock, jazz and lounge music. Go back to the Level Green main page. Copyright © 2007, Level Green Recording Company.